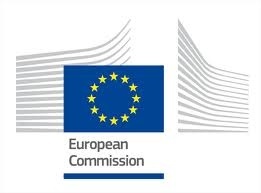 The third Technical Review Meeting validating the third period and the entire project THROMBUS took place in Brussels on the 26th May 2014. The results generated are very good and have significantly advanced state-of-the-art in modelling intra-aneurysmal thrombosis and improving our understanding of the role of platelets, red blood cells, endothelium, hemodynamic forces and the complex interactions involved in intra-aneurysmal thrombosis. Multi-scale numerical simulations based on the biomechanical and image-processing results have been validated with clinical data. Further work is necessary for complete analysis of aneurysm wall motion and how this impacts clot formation. However, this is a particularly challenging task and in no way deters from the high quality results obtained in meeting the project objectives within the agreed work plan. The impact and clinical application of the THROMBUS project will be fully realised following a period of further end-user access. There has been very good collaboration between the partners and links between the consortium partners are well established. The consortium partners established good scientific collaboration with several national and international industrial and medical institutes. In general the resources were used as planned. The impact of the project is very positive with results from each work package published in peer-reviewed journals and conferences. Additionally two prototypes are operational and one patent and a transfer agreement have been obtained. The THROMBUS website has given clear visibility to the project activities within the three year project duration.